I've been a little quiet what with travelling to Japan and seeing the incredible scale model scene there. It was extraordinary, I feel very lucky indeed to have had the chance to visit some of these places. 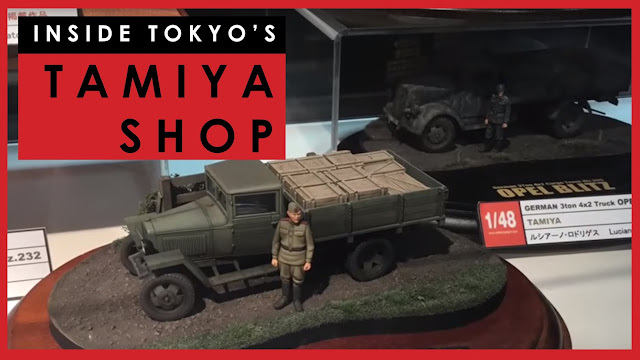 One of the highlights for me was the Tamiya Plamodel Factory store in Shimbashi, Tokyo. It is three levels of Tamiya fandom in one location. Every single current Tamiya kit in production is available, at prices that are about 20-40% less than what I would otherwise pay here in Australia.